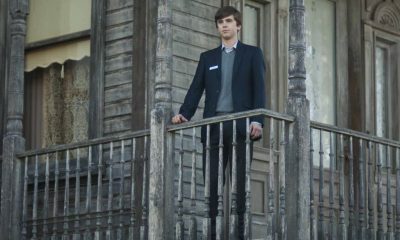 With three official kills under his belt — the murders of his father, Ms. Watson (Keegan Connor Tracy) and Bradley Martin (Nicola Peltz) — Norman Bates (Freddie Highmore) is embracing the abyss of his fractured mental state, which finally fully manifest in Norman’s alter-ego known as “Mother” (Vera Farmiga) in the Season 3 finale. 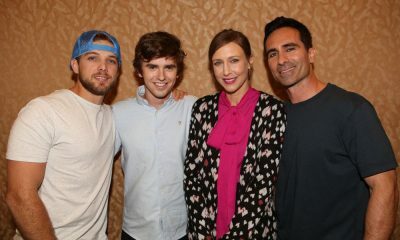 So where does Season 4 take Norman/”Mother” and his mother Norma and his brother Dylan (Max Thieriot), and where does Sheriff Romero (Nestor Carbonell) fit in their awkward family dynamic of secrets and worries that there might now be too many bodies to keep fully hidden? 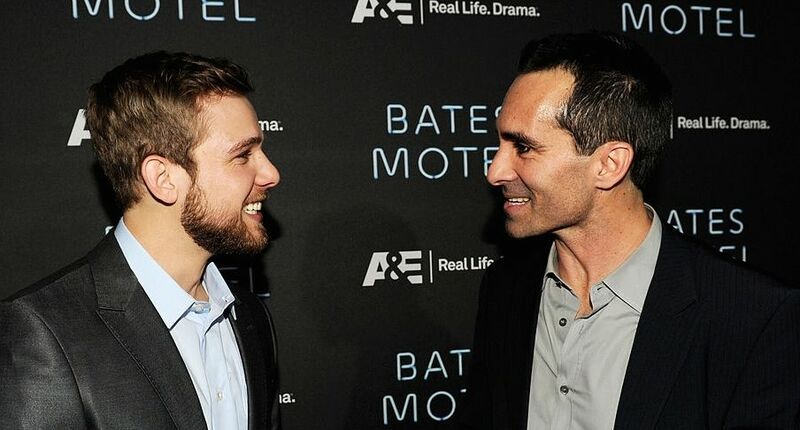 In an interview from the set, stars Nestor Carbonell and Max Thieriot chatted with press about what lies ahead in Season 4 for their characters, as well as the delicate unraveling of Norman Bates, which just may threaten the lives of all their characters this season. You both portray sort of the saner characters on the show. Are Romero and Dylan getting more swept into the insanity and starting to question their own sanity, or are they still going to be the “voices of reason”? NESTOR: I think he may be more of a “voice of reason” than I am. I mean I have my own “voice of reason,” but I do kill a lot of people without due process and Dylan does as well. MAX: Yeah, [Dylan] used to kill a lot. NESTOR: [Laughs] Your kill counts down. What’s going on? MAX: Yeah, my kill count is down and I’m starting to wonder why. NESTOR: Maybe you’re right. Maybe they need more sane people. MAX: In this season though, Dylan kind of seems to start questioning that — the right and wrong — finally. Certainly with respect to his own family, with his mom and Norman. You’re absolutely right. [Romero] used to go along with the plan because you/Romero kind of still wanted Mom and now you’re seeing her for what she is, I guess. So those rose colored glasses are slipping a little bit? MAX: For [Romero], they are. I’ve got like three pairs on! Nestor, what are Romero’s feelings for Norma at this point? NESTOR: Without giving away too much, I think it’s safe to say that he’s obviously been smitten for a while — and she’s either incapable of going there or resisted whatever connection we might have had because its too vulnerable for her to open herself up. Obviously she has to think about her dynamic with her son, so there’s that little thing. This year the writers came up with an incredible device by which we’re sort of forced to be together, and then we’ll see what unfolds after that. If forcing us to be together in an unconventional way to be together will pave the way for something more emotional. MAX: [Laughs] The look on your/Romero’s face when Norma says, [SPOILER]. I think it’s great. NESTOR: Thanks. Yeah, it was interesting. I played it two different ways. They went with it that way. I gave them an option to say, “Let’s see if I do it with some dread.” Obviously, they went with a more hopeful version of it. Let’s see what time brings it’s in right now and how that relationship, if it does materialize, how it materializes. MAX: Yeah. It’s cool you gave them options too because it’s probably going to be one or the other. NESTOR: [Laughs] I don’t know which way it’s going to go. I don’t know. What about Dylan and Emma (Olivia Cooke)? How is that relationship progressing this season? 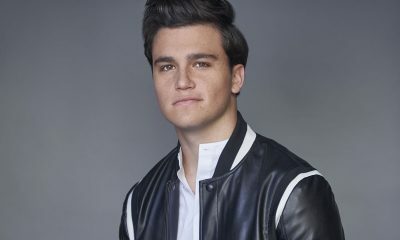 MAX: We left off in Season 3 with Emma needing a lung transplant, and obviously their relationship is sort of beginning. I think we’re going to get to dive into that a lot more and explore that relationship. . . There’s moments in the second episode where part of Dylan starts questioning their relationship and where he stands in her life. Like: does he have a future with her? Obviously, Emma’s a little bit younger than Dylan, and at this point, her future is a little brighter. He’s questioning where he stands and will there be a future. At the same time, there’s this sort of connection that the two of them have that is undeniable. After the lung transplant, how much of a presence is Emma’s illness or overcoming that illness going to have on the show? MAX: I think the recovery is going to have — obviously, it’s going to be a big piece. 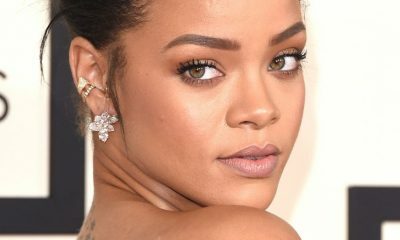 Recovering from that kind of surgery is obviously a tremendous sort of thing to get over, but it’s definitely going to have an impact. I think because of her new situation, it starts to put Dylan and Emma in a position of wondering if there is other things they can do now. Other places they can go, other places they can see, other things they can do. While she’s recovering, there’s obviously also hope now because she has been given this second chance. I hope that they can escape White Pine Bay before the end. Is Dylan’s fate firmly tied to his brother and his mother at this point, or is he willing to get out while he can? MAX: No. I think part of it is that he is obviously tied to them. He has this guilt and all these things that come attached to him knowing that his brother is basically losing it. He really obviously feels sorry for him and he feels sorry for his mom. At the same time, I think Dylan is starting to reach a point in his life where he’s realizing that that he can only do so much and at some point he has to live his life. We get to see him start to deal with that inner battle that he has to face. NESTOR: I think also with Emma in your life now — I think you start to see the world in a different way, through a prism of some kind. Maybe there is normalcy out there beyond my family. My there is some kind of hope for [them] — even though her situation is not exactly typical. At least emotionally, it’s a lot more traditional than what you’ve been dealing with at home. MAX: Definitely. He’s finally … It doesn’t have the ups and the downs and the roller coasters like he’s always had with Norma and Norman. He actually sort of has, even though it’s an emotional one, he has some sort of stability, which is huge for him. NESTOR: It goes back to your earlier point. You are right. I think, thank God, at the very least, for Dylan’s hope of relationship between Dylan and Emma to give the viewers some positive hopeful outlook within this very complex dynamic. I think that is a great thing that the writers have done. We’ll see if that’s the case for Romero and Norma. Time will tell. Does Romero think Norman can be helped? NESTOR: I think he’s seen enough dealing with mental illness through the prism of a sheriff. He’s seen how tough a road that is. I think he’s also colored by his love for Norma, or that colors the way he views it. He wants to believe that he can help. I think he does, with professional help. We’ll see. We’ll see what happens. Perhaps with his own personal connection with them, I think he’s hopeful maybe he can turn him or he can help them in some way. Up until this point, I think the show has portrayed Norman as a sympathetic character. But in this next season, we see him as very sinister type of figure. How much does the show lean into that? NESTOR: Yeah. Without giving too much away, I think we are definitely going to see a transition in Norman this season. I don’t think we’re saying anything that is not … I mean, we’re building up to the film, in essence, or an element of the film. I don’t know how close we’re going to get to that. I think certainly in terms of the persona of Norman Bates, we’re seeing him grow up from a young boy troubled, completely unaware of his blackouts, of his tendency he has, to a young man. Who knows? Maybe at some point, we’ll see him become a man. We’ll see whether it becomes more calculating or not, whether he’s now fully aware of what he’s capable of or what he has done and whether or not he starts to manipulate. He’s incredibly bright, whether he uses his smarts to get around things. That’ll be the fun part for all us viewers. Norma is the master manipulator. Do you think Romero is aware of the way he’s being manipulated and is he okay with it because he loves her? NESTOR: I think he knows it — that she manipulates him. I think his thing with her has always been about trust. He can read through it. All he wants her to do is just trust him. Once that barrier is down, she won’t have to lie and do all that stuff. Again, he’s got his own secrets. As much of a straight-shooter as he thinks he is, he hides quite a bit, even from her. They are both control freaks. They are both manipulators. I think that’s probably why they are drawn to each other. That’s one reason. At think point, how many bodies do they think Norman has actually put in the basement or wherever he might be disposing them? NESTOR: Without giving anything away? So far, the ones that have been called into question are Blaire Watson (Keegan Connor Tracy), absolutely. We know about [Norman’s] father, at least. Romero knows about his father. Those are the two that we know for sure . . Tracy [Spiradakos]’s character is the other one from last year — the two women who were killed — we’re not sure. We know it wasn’t Norman. But the two that we know of, Romero definitely suspects are Blaire Watson and the father he knows about. Beyond that, I don’t think I could say. How does Dylan come back into Norma and Norman’s storyline? So far, he seems sort of removed with Emma. MAX: Yeah, I think, I don’t know if I should talk about this, but at one point, Dylan gets a phone call from Norman. That’s kind of one of the first moments where he realizes there are big issues. What they talk about on the phone, sort of sparks Dylan to go, “Okay. Things are obviously a mess. I know I have everything going on with Emma right now, but I have to get back home. I have to get back to my mom and Norman and figure this out.” Neither one of them are ever really telling Dylan the truth, or at least all of it. He’s trying to figure out who’s really the crazy one here. That’s sort of the beginning of bringing him back drawn into the family. NESTOR: There is an event in the first episode that triggers a lot of what you/Dylan go through, without giving too much away, that sends you on a journey to investigate — including your own brother. Does that mean we’ll start to see your characters Romero and Dylan interact more and compare notes? NESTOR: I’d love to see that happen. I think it’d be fine. I think I tried last year, but you/Dylan didn’t bite on my proposal. Maybe you’ll join me this year. I don’t know. MAX: Yeah. Maybe towards [the end]. NESTOR: [Laughs] So far, our worlds haven’t collided. I only see Max in between scenes. From what we have seen, Romero might get the chance to be closer to the family this year. NESTOR: I don’t want to give anything away. We’ll see. What is it like one those days when you’re working with Freddie and he’s doing those scenes. How is it for you as an actor? NESTOR: Doesn’t he sometimes have Vera tape-record lines so he can hear her voice? MAX: Yeah, so he can hear her voice. One of the things that I threw in was when he pulls out the black berries … Vera as Norma always says, “I baked a beautiful pie.” Beautiful this, beautiful that. You have to call the black berries beautiful. NESTOR: That’s actually very Australian. NESTOR: They call food beautiful. My wife is from Australia. I go to a shop and everybody is talking about how food is beautiful. I don’t know. The British, maybe. MAX: It’s fun. So far this year, I don’t know if I get to see it yet. There’s plenty of time though. NESTOR: We’ll get to see this year for sure. But maybe not for our characters. MAX: If my memory is right, Romero hasn’t seen Norma as Norman as Norma, but Dylan has. Sort of the fun of this season, well maybe fun isn’t the right word, but seeing Norman trying to twist it all back on Norma — like all the issues he’s been having, and putting that back on her. Can you talk a little bit about adding that element to the show? NESTOR: That was in the second episode. It’s a very strong episode. Yeah, Norman’s so delusional that he actually implicates his mom in all the things that he is involved in. He starts piecing it together. It’s a great piece of writing, and so beautifully done by both of them. Is that something we see continue, that he keeps trying to spin this back on Norma, and saying she’s the crazy one? NESTOR: I think you’ll see more of it. You’ll definitely see more it, for sure. He’s still delusional. I think there might be a light bulb moment, but not for a bit. There will be though. I’m giving away too much. . . It’s sort of like Norman’s so delusional that he actually implicates his mom in everything that he’s involved in. He starts piecing it together and it’s just a great piece of writing and so beautifully done by both of them. Romero had a very violent reaction last year when he was compared to his father. Can you talk about that? NESTOR: Bob Paris (Kevin Rahm) brought that out. It’s something I talked to Kerry [Ehrin] about, his history. He was in the Marines and I think he went into the police force with some idealistic notions of justice and doing things a different way in White Pine Bay than his father had done. But he soon fell onto the reality of politics and having to work with the system. We talked about developing his own sense of justice and sort of being as comfortable as much as he could be with his own paradigm of morality and justice and being the judge and executioner, all in one. Each season seems to explore a different part of White Pine Bay, whether it is the politics or the pot farming. Is there anything else that’s going on that the show is going to explore this season? NESTOR: We do. What’s great about the season is that we explore mental health. It doesn’t sound so cinematic, but really the way that it has been written explores treatment and I think it needed to be addressed at some point. At some point Norma has to realize, “Okay I obviously can’t let this go on.” So we do explore that in depth and it’s beautifully done and that’s the world. MAX: And love. I think just love as an entire theme is totally explored. NESTOR: Absolutely. This is a lot of payoff for what has been set up as far as relationships, dynamics and also with respect to Norman’s mental health. What do you look forward to the most about directing [your episode]? NESTOR: It is such a gift to get to direct and also to work with the material as an actor. It’s such rich material. To try and do it justice as a director, it’s a little daunting because you want to deliver with what’s been written and hopefully add something to it. When we have a cast, like these guys, it makes it a lot easier. And the writing, when it’s so strong, you almost just want to let it play and not have to mess with it too much. We also have a phenomenal crew and I’ve had amazing help from them. I did direct last year and then I got to again this year, and there is new crew members and just helping me — especially at the top of the line. And someone else gets to talk about that, right, Max? MAX: [Laughs] Yeah, but that’s not until next year. I just blew that [chance this year]. Honestly, having all of them here for almost like for almost four years now, nobody prepares more and does more homework and obsessed in a good way over the directing and everything having to do with his episode than Nestor. So it’s kind of like this awesome thing because he gets a little crazy. But it’s unreal because your love for the show in general and how much he cares about every single thing and every little tiny detail so it’s awesome. We get to see how much not only he loves acting, but he loves directing as well and he’s great at it. Last year’s episode showed and I’m sure this episode will be just as good. NESTOR: Aww, thanks. It’s a treat and you’re going to get to do it. It’s truly just a gift and that part is absolutely not lost on me. To get to work with ridiculous talent all across the board is extraordinary and also just incredibly generous people — just a giving group. MAX: And we do have a great crew too. Our crew is awesome and everybody I feel like too, in the crew, they all care. Everyone cares when someone is directing. NESTOR: Everyone has ownership of the show. You feel it. People have given up other jobs just to stay on board are the crew members that we just value and love. I know that I’m speaking to people in the office and we all agree that we’re so spoiled. We’re going to have a rude awakening when it’s all over because other shows don’t run like this normally. We get scripts 3-4 months in advance. That just doesn’t happen and the scripts are so well written and so rich. Everything is layered and that is attributed to Kerry and Carlton and all our writers. It’s going to be hard to leave the show. What is it like sharing up that dynamic of actors that you’ve been opposite of and then turning that around and them directing your performance? NESTOR: You learn a lot about actors when you have to ask them to do something. But it’s a very giving group. It’s a process. Freddie has done a lot of homework. A lot of homework. So he comes in extremely prepared with some ideas. Vera will prepare, but do more broad strokes and really will rely more on director during the day just to guide her. She also has so much material and so many big speeches and a lot of it is catch-up for her. But hers is a bit more on the spot kind of stuff. Max, you’re more like Vera. NESTOR: Yeah, and you sort of went with it. Vera’s like that too. She will have prepared a lot emotionally, but there is plenty of wiggle room for her. Freddie does too. I think most of it is his accent. So he’s got that issue to work on and he’s so amazing at it so. I don’t know about Olivia. What’s her process? MAX: I don’t know. I don’t know what her process is. I mean she has to work on the accent also. What was the process to getting you to direct an episode? MAX: I really wanted to direct and it kind of came just about this off season. Carlton [Cuse] and Kerry called me and said, “Hey, do you want to direct an episode?” I was like, “Yeah, I’d love to: and they said, “You know, we probably don’t have room in Season 4, but like we can make sure you get to direct an episode in Season 5.” I was like, “Awesome. I don’t care what episode whatever. Put me in.” So it is probably also probably a blessing in a way that it was not this year because I have an 11-week old. Like I’m trying to absorb that as much as possible and directing is probably not an easy thing and it requires a lot of work and a lot of preparation and at this point in time it’s important that I am home as much as possible during this time and with him as much as possible, and as difficult as it already is just acting. So then I’ll get into it [directing] next season. It allows me to get some sleep, start early and the start shadowing everybody and get into it. Do you feel like your actor’s brain works with your director’s brain? Are they independent of each other? Is there anything that you can tease that you’re really excited that you get to do in your episode as a director? NESTOR: It’s interesting. Last year, the episode that I got to direct, there was a lot of activity. There was a big stunt. There was a lot of company moves or moving all over the place. That was a challenge in that way. It was a more physical show and a lot happened in that episode. There was a lot of movement, action movement and story plot movement. This one is a much more quiet episode, which I love. So now I get a chance to get a sense of what that world is like. Not that the other one wasn’t as nuanced, but it is more two-handers in a lot of scenes — two people manipulating each other — so I’m really looking forward to that. As an actor, that’s stuff I gravitate to — those scenes. So, hopefully, I won’t screw up. BATES MOTEL has been confirmed for five seasons. Do you feel like you are racing towards a a cliff or is it more of a slow-burn? NESTOR: We don’t know where that cliff is individually for each character or even if there is one for the show. We don’t at any point know. Honestly, we haven’t been told that. There are some broad strokes, but certainly not individually, where any of us land. MAX: Obviously, they have an idea. But I think there are also pieces that they are still sort of fine-tuning and finding as we go alone. NESTOR: There are moving parts for sure. That happened to us on LOST. The writers and Damon [Lindelof] had an idea certainly where they were going to end it. But there are a lot of moving parts in between it and I think that they’ve always had a notion of how they’re going to end it. There’s definitely pieces that move all the time. As you approach that destination, do you get more nervous for your character as time goes on? NESTOR: [Laughs] You never know. You never know what can happen or what is around the corner. So I guess that’s what is exciting for us as much as it is for the viewers — that they do take big risks, not the show, but the writers. So it can be a wonderful day or a not so good day for us. What are you most excited for people to see in the fourth season that they might not have seen before on the show? NESTOR: Well, tonally it’s different. It’s a different season. I think there’s a lot of manipulation certainly from the part of Norman. We’re seeing his transformation to Norman Bates from “Psycho.” But they also told me, and what Max says is true, that there is a lot of love. So this is a moment where the show can breathe and give the viewer, well maybe for some, maybe a pay off emotionally. So we’ll see the difference. MAX: Well, not losing the “Psycho” aspects of it, I think that for myself, as like a viewer, that I’ve kind of been excited about it just sort of watching Norman essentially lose it more and more. So Season 4 is really the season where you start getting that. NESTOR: He’s not as innocent anymore. Do any of your characters feel individually threatened by Norman at this point? 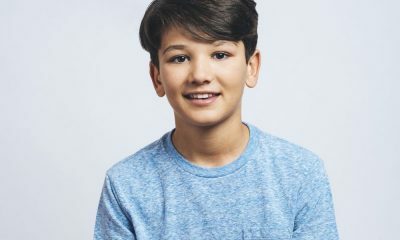 MAX: I think maybe in the beginning I, as Dylan, feel a little bit and then I think maybe Dylan relaxed a little bit on that in this season also. NESTOR: I would rather not tell you. I’ll let you know that my interaction with him is fairly minimal in the first two episodes without giving away what happens to him. I think in the back of his/Romero’s head is that he feels there is definitely a threat to his mother. Romero feels like there is a threat to everyone around [Norman]. To see whether Norman’s descent into madness can be stopped or if he ends up taking every one around him down with him, be sure to tune in for BATES MOTEL’s Season 4 premiere on Monday, March 7th at 9:00 p.m. on A&E.